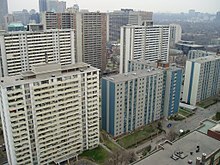 Affordable housing or Low income housing at the St. James Town neighborhood in Toronto, Ontario, Canada. Affordable housing is housing which is deemed affordable to those with a median household income or below as rated by the national government or a local government by a recognized housing affordability index. Most of the literature on affordable housing refers to mortgages and number of forms that exist along a continuum – from emergency shelters, to transitional housing, to non-market rental (also known as social or subsidized housing), to formal and informal rental, indigenous housing, and ending with affordable home ownership. In Australia, the National Affordable Housing Summit Group developed their definition of affordable housing as housing that is "...reasonably adequate in standard and location for lower or middle income households and does not cost so much that a household is unlikely to be able to meet other basic needs on a sustainable basis." Affordable housing in the United Kingdom includes "social rented and intermediate housing, provided to specified eligible households whose needs are not met by the market." "It is time for planners to abandon abstract objectives and to focus their efforts on two measurable outcomes that have always mattered since the growth of large cities during the 19th century’s industrial revolution: workers’ spatial mobility and housing affordability." The Median Multiple indicator, recommended by the World Bank and the United Nations, rates affordability of housing by dividing the median house price by gross [before tax] annual median household income). "A common measure of community-wide affordability is the number of homes that a household with a certain percentage of median income can afford. For example, in a perfectly balanced housing market, the median household (the wealthier half of households) could officially afford the median housing option, while those poorer than the median income could not afford the median home. 50% affordability for the median home indicates a balanced market." Determining housing affordability is complex and the commonly used housing-expenditure-to-income-ratio tool has been challenged. In the United States and Canada, a commonly accepted guideline for housing affordability is a housing cost that does not exceed 30% of a household's gross income. Canada, for example, switched to a 25% rule from a 20% rule in the 1950s. In the 1980s this was replaced by a 30% rule. India uses a 40% rule. One of the greatest strengths of the HAI developed by MIT is its ability to capture the Total Cost of Ownership of individuals' housing choices. In computing the index the obvious cost of rents and mortgage payments are modified by the hidden costs of those choices. Income is the primary factor—not price and availability, that determines housing affordability. In a market economy the distribution of income is the key determinant of the quantity and quality of housing obtained. Therefore, understanding affordable housing challenges requires understanding trends and disparities in income and wealth. Housing is often the single biggest expenditure of low and middle income families. For low and middle income families, their house is also the greatest source of wealth. The most common approach to measure the affordability of housing has been to consider the percentage of income that a household spends on housing expenditures. Another method of studying affordability looks at the regular hourly wage of full-time workers who are paid only the minimum wage (as set by their local, regional, or national government). The hope is that full-time workers will be able to afford at least a small apartment in the area where they work. Some countries look at those living in relative poverty, which is usually defined as making less than 60% of the median household income. In their policy reports, they consider the presence or absence of housing for people making 60% of the median income. Housing affordability can be measured by the changing relationships between house prices and rents, and between house prices and incomes. There has been an increase among policy makers in affordable housing as the price of housing has increased dramatically creating a crisis in affordable housing. Since 2000 the "world experienced an unprecedented house price boom in terms of magnitude and duration, but also of synchronisation across countries." "Never before had house prices risen so fast, for so long, in so many countries." Prices doubled in many countries and nearly tripled in Ireland. The bursting of the biggest financial bubble in history in 2008 wreaked havoc globally on the housing market. By 2011 home prices in Ireland had plunged by 45% from their peak in 2007. In the United States prices fell by 34% while foreclosures increased exponentially. In Spain and Denmark home prices dropped by 15%. However, in spite of the bust, home prices continue to be overvalued by about 25% or more in Australia, Belgium, Canada, France, New Zealand, Britain, the Netherlands, Spain and Sweden. solid population growth (for example sky-high prices in Australia and Canada as a rising population pushes up demand). A number of researchers argue that a shortage of affordable housing – at least in the US – is caused in part by income inequality. David Rodda noted that from 1984 and 1991, the number of quality rental units decreased as the demand for higher quality housing increased. :148 Through gentrification of older neighbourhoods, for example, in East New York, rental prices increased rapidly as landlords found new residents willing to pay higher market rate for housing and left lower income families without rental units. The ad valorem property tax policy combined with rising prices made it difficult or impossible for low income residents to keep pace. In measuring affordability of housing there are various expenditures beyond the price of the actual housing stock itself, that are considered depending on the index being used. Some organizations and agencies consider the cost of purchasing a single-family home; others look exclusively at the cost of renting an apartment. The majority of the more than seven billion people on earth now live in cities (UN). There are more than 500 city regions of more than one million inhabitants in the world. Cities become megacities become megalopolitan city regions and even "galaxies" of more than 60 million inhabitants. The Yangtze Delta-Greater Shanghai region now surpasses 80 million. Tokyo-Yokohama adjacent to Osaka-Kobe-Kyoto have a combined population of 100 million. Rapid population growth leads to increased need for affordable housing in most cities. The availability of affordable housing in proximity of mass transit and linked to job distribution has become severely imbalanced in this period of rapid regional urbanization and growing density convergence. "In addition to the distress it causes families who cannot find a place to live, lack of affordable housing is considered by many urban planners to have negative effects on a community's overall health." Affordable housing challenges in inner cities range from the homeless who are forced to live on the street to the relative deprivation of vital workers like police officers, firefighters, teachers and nurses unable to find affordable accommodation near their place of work. These workers are forced to live in suburbia, commuting up to two hours each way to work. Lack of affordable housing can make low-cost labour scarcer (as workers travel longer distances) (Pollard and Stanley 2007). Lack of affordable housing places a particular burden on local economies. As well, individual consumers are faced with mortgage arrears and excessive debt and therefore cut back on consumption. A combination of high housing costs and high debt levels contributes to a reduction in savings. These factors can lead to decreased investment in sectors that are essential to the long-term growth of the economy. In some countries, the market has been unable to meet the growing demand to supply housing stock at affordable prices. Although demand for affordable housing, particularly rental housing that is affordable for low and middle income earners, has increased, the supply has not. Potential home buyers are forced to turn to the rental market, which is also under pressure. An inadequate supply of housing stock increases demand on the private and social rented sector, and in worse case scenarios, homelessness. Young adults delaying forming their own household (in advanced economies). Rising unemployment rates increase demand for market rentals, social housing and homelessness. In both large metropolitan areas and regional towns where housing prices are high, a lack of affordable housing places local firms at a competitive disadvantage. They are placed under wage pressures as they attempt to decrease the income/housing price gap. Key workers have fewer housing choices if prices rise to non-affordable levels. Variations in affordability of housing between areas may create labour market impediments. Potential workers are discouraged from moving to employment in areas of low affordability. They are also discouraged from migrating to areas of high affordability as the low house prices and rents indicate low capital gain potential and poor employment prospects. Housing affordability is more than just a personal trouble experienced by individual households who cannot easily find a place to live. Lack of affordable housing is considered by many urban planners to have negative effects on a community's overall health. Lack of affordable housing can make low-cost labor more scarce, and increase demands on transportation systems (as workers travel longer distances between jobs and affordable housing). Housing cost increases in U.S. cities have been linked to declines in enrollment at local schools. "Faced with few affordable options, many people attempt to find less expensive housing by buying or renting farther out, but long commutes often result in higher transportation costs that erase any savings on shelter." Pollard (2010) called this the "drive 'til you qualify" approach, which causes far-flung development and forces people to drive longer distances to get to work, to get groceries, to take children to school, or to engage in other activities. A well located dwelling might save significant household travel costs and therefore improve overall family economics, even if the rent is higher than a dwelling in a poorer location. A household's inhabitants must decide whether to pay more for housing to keep commuting time and expense low, or to accept a long or expensive commute to obtain "better" housing. The absolute availability of housing is not generally considered in the calculation of affordable housing. In a depressed or sparsely settled rural area, for example, the predicted price of the canonical median two-bedroom apartment may be quite easily affordable even to a minimum-wage worker – if only any apartments had ever been built. Some affordable housing prototypes include Nano House and Affordable Green Tiny House Project. Policy makers at all levels – global, national, regional, municipal, community associations – are attempting to respond to the issue of affordable housing, a highly complex crisis of global proportions, with a myriad of policy instruments. These responses range from stop-gap financing tools to long-term intergovernmental infrastructural changes. In the simplest of terms, affordability of housing refers to the amount of capital one has available in relation to the price of the goods to be obtained. Public policies are informed by underlying assumptions about the nature of housing itself. Is housing a basic need, a right, an entitlement, or a public good? Or is just another household-level consumer choice, a commodity or an investment within the free market system? "Housing Policies provide a remarkable litmus test for the values of politicians at every level of office and of the varied communities that influence them. Often this test measures simply the warmth or coldness of heart of the more affluent and secure towards families of a lower socio-economic status (Bacher 1993:16)." Affordable housing needs can be addressed through public policy instruments that focus on the demand side of the market, programs that help households reach financial benchmarks that make housing affordable. This can include approaches that simply promote economic growth in general—in the hope that a stronger economy, higher employment rates, and higher wages will increase the ability of households to acquire housing at market prices. Federal government policies define banking and mortgage lending practices, tax and regulatory measures affecting building materials, professional practices (ex. real estate transactions). The purchasing power of individual households can be enhanced through tax and fiscal policies that result in reducing the cost of mortgages and the cost of borrowing. Public policies may include the implementation of subsidy programs and incentive patterns for average households. For the most vulnerable groups, such as seniors, single-parent families, the disabled, etc. some form of publicly funded allowance strategy can be implemented providing individual households with adequate income to afford housing. Currently, policies that facilitate production on the supply side include favorable land use policies such as inclusionary zoning, relaxation of environmental regulations, and the enforcement of affordable housing quotas in new developments. In some countries, such as Canada, municipal governments began to play a greater role in developing and implementing policies regarding form and density of municipal housing in residential districts, as early as the 1950s. At the municipal level recently[when?] promoted policy tools include relaxation of prohibitions against accessory dwelling units, and reduction of the amount of parking that must be built for a new structure. Affordable housing is a controversial reality of contemporary life, for gains in affordability often result from expanding land available for housing or increasing the density of housing units in a given area. Ensuring a steady supply of affordable housing means ensuring that communities weigh real and perceived livability impacts against the sheer necessity of affordability. The process of weighing the impacts of locating affordable housing is quite contentious, and is laden with race and class implications. Recent research, however, suggests that proximity to low-income housing developments generally has a positive impact on neighborhood property conditions. The growing gap between rich and poor since the 1980s manifests itself in a housing system where public policy decisions privilege the ownership sector to the disadvantage of the rental sector. Ann Owen wonders if the housing market helped reduced poverty concentration in the National longitudinal data between the years of 1977–2008 with concentration of the 100 largest metropolitan areas in the United States. Data information is to compare or intertwine with the differences of national housing subsidies, the entry, exit, and enhancement of low income housing. An article by Libertarian writer Virginia Postrel in the November 2007 issue of Atlantic Monthly reported on a study of the cost of obtaining the "right to build" (i.e. a building permit, red tape, bureaucracy, etc.) in different U.S. cities. The "right to build" cost does not include the cost of the land or the cost of constructing the house. The study was conducted by Harvard economists Edward Glaeser and Kristina Tobio. According to the chart accompanying the article, the cost of obtaining the "right to build" adds approximately $600,000 to the cost of each new house that is built in San Francisco. The study, cited, published by Ed Glaeser and Joe Gyourko, reached its conclusion about the value of right to build in different localities based on a methodology of comparing the cost of single family homes on quarter-acre versus half-acre lots to get a marginal land price and then comparing the selling price of homes to construction costs to get a price for land plus other costs, with the difference between the two being attributed to the cost of zoning and other local government permitting and regulations. Many governments put restrictions on the size or cost of a dwelling that people can live in, making it essentially illegal to live permanently in a house that is too small, low-cost or not compliant with other government-defined requirements. Generally, these laws are implemented in an attempt to raise the perceived "standard" of housing across the country. This can lead to thousands of houses across a country being left empty for much of the year even when there is a great need for more affordable housing; such is the case in countries like Sweden, Norway, Finland and Denmark, where there is a common tradition to have a summer house. This sometimes raises concerns for the respect of rights such as the right to utilize one's property. The challenges of promoting affordable housing varies by location. ^ a b Bhatta, Basudeb (15 April 2010). Analysis of Urban Growth and Sprawl from Remote Sensing Data. Advances in Geographic Information Science. Springer. p. 23. ISBN 978-3-642-05298-9. ^ "Definition Affordable Housing" (PDF). ^ "Queensland Affordable Housing Consortium [QAHC], Australia" (PDF). Archived from the original (PDF) on 26 April 2012. ^ "Affordable Housing: Issues, Principles and Policy Options" (PDF). Canberra, Australia: Australian Council of Trade Unions. July 2007. Archived from the original (PDF) on 26 May 2012. Retrieved 8 December 2011. ^ "Good practice and guidance, Reports and summaries". 29 November 2009. Retrieved 8 December 2011. ^ "10th Annual Demographia International Housing Affordability Survey: 2014" (PDF). Retrieved 13 February 2016. ^ a b Hulchanski, J. David (October 1995). "The Concept of Housing Affordability: Six Contemporary Uses of the Expenditure to Income Ratio" (PDF). Housing Studies. 10 (4). Retrieved 8 December 2011. ^ Luffman, Jacqueline (November 2006). "Measuring housing affordability". 7 (11). Statistics Canada. ^ Boeing, G.; Waddell, P. (2016). "New Insights into Rental Housing Markets across the United States: Web Scraping and Analyzing Craigslist Rental Listings". Journal of Planning Education and Research. 37 (739456X16664789): 457–476. arXiv:1605.05397. doi:10.1177/0739456X16664789. Retrieved 2017-08-27. ^ Canada Mortgage; Housing Corporation (28 September 2011). "Affordable Housing: What is the common definition of affordability?". Government of Canada. Archived from the original (.cfm) on 7 May 2007. Retrieved 8 December 2011. ^ Measuring Housing Affordability (.html). The HAI Affordable Housing Index (Report). MIT Center for Real Estate. Retrieved 13 December 2011. ^ "Methodology About the Index". National Association of Realtors. n.d. Retrieved 12 September 2015. ^ Tilly, Chris (2 November 2005). "10" (PDF). The Economic Environment of Housing: Income Inequality and Insecurity. Retrieved 16 December 2011. ^ Tilly, Chris (2 November 2005). "10" (PDF). The Economic Environment of Housing: Income Inequality and Insecurity. Lowell, Massachusetts: Center for Industrial Competitiveness, University of Massachusetts. Retrieved 16 December 2011. ^ a b c d "House of horrors, part 2: The bursting of the global housing bubble is only halfway through". The Economist. 26 November 2011. Retrieved 15 December 2011. ^ a b Rodda, David T. (1994). Rich Man, Poor Renter: A Study of the Relationship Between the Income Distribution and Low Cost Rental Housing (Thesis). Harvard University. p. 148. OCLC 34635540. ^ Vigdor, Jacob (2002). "Does Gentrification Harm the Poor?". Brookings-Wharton Papers on Urban Affairs. 2002: 133–182. doi:10.1353/urb.2002.0012. ^ Matlack, Janna L.; Vigdor, Jacob L. (2008). "Do Rising Tides Lift All Prices? Income Inequality and Housing Affordability". Journal of Housing Economics. 17 (3): 212–224. doi:10.1016/j.jhe.2008.06.004. ^ Pushed Out: The Hidden Costs of Gentrification: Displacement and Homelessness (PDF) (Report). Institute for Children and Poverty. 2009. Archived from the original (PDF) on 6 August 2013. ^ a b Bhatta, Basudeb (15 April 2010). Analysis of Urban Growth and Sprawl from Remote Sensing Data. Advances in Geographic Information Science. Springer. p. 42. ISBN 978-3-642-05298-9. ^ Bridge, Gary; Watson, Sophie (22 March 2011). The New Blackwell Companion to the City. John Wiley & Sons. ^ "Affordable housing". Government of Australia. Archived from the original on 28 March 2012. ^ "Housing supply and demand – UK Parliament". Parliament.uk. 6 May 2010. Retrieved 15 August 2012. ^ "Housing and Urban Policy". .rgu.ac.uk. Archived from the original on 17 July 2012. Retrieved 15 August 2012. ^ Mostafa, Anirban; Wong, Francis K. W.; Hui, Chi Mun Eddie (2006). "Relationship between Housing Affordability and Economic Development in Mainland China—Case of Shanghai". Journal of Urban Planning Development. 132 (62): 9. doi:10.1061/(asce)0733-9488(2006)132:1(62). ^ Judith Yates; Maryann Wulff (1999). "Housing Markets and Household Income Polarisation: A Metropolitan and Regional Analysis" (PDF). Retrieved 8 December 2011. ^ Gabriel, Michelle; Jacobs, Keith; Arthurson, Kathy; Burke, Terry; Yates, Judith (May 2005). Conceptualising and measuring the housing affordability problem (PDF) (Report). National Research Venture 3: Housing Affordability for Lower Income Australians. Australian Housing and Urban Research Institute. p. 3. ISBN 1-920941-76-2. ^ Gabriel, Michelle; Jacobs, Keith; Arthurson, Kathy; Burke, Terry; Yates, Judith (May 2005). Conceptualising and measuring the housing affordability problem (PDF) (Report). National Research Venture 3: Housing Affordability for Lower Income Australians. Australian Housing and Urban Research Institute. p. 2. ISBN 1-920941-76-2. ^ Cleeland, Nancy (11 June 2006). "There Goes the Enrollment". Retrieved 6 January 2018 – via LA Times. ^ "Deconstructing the Myths: Housing Development Versus School Costs" (PDF). Retrieved 6 January 2018. ^ Pollard, Trip (2010). Jobs, Transportation, and Affordable Housing: Connecting Home and Work (PDF) (Report). Southern Enivronmental Law Center/Housing Virginia. Archived from the original (PDF) on 9 March 2012. ^ a b c d e Hulchanski, David J. (June 2006). "10. What Factors Shape Canadian Housing Policy? The Intergovernmental Role in Canada's Housing System" (PDF). In Young, Robert; Leuprecht, Christian. Canada: The State of the Federation 2004: Municipal-Federal-Provincial Relations in Canada. Institute of Intergovernmental Relations. McGill-Queen's University Press. Archived from the original (PDF) on 26 April 2012. Retrieved 15 December 2011. ^ Bacher, John C. (1993). Keeping to the Marketplace: The Evolution of Canadian Housing Policy. Montreal: McGill-Queen's University Press. ^ Owen, Ann (2015). "Housing Policy and Urban Inequality: Did the Transformation of Assisted Housing Reduce Poverty Concentration?". Housing Policy and Urban Inequality: 325. ^ Badger, Emily (2013-07-18). "Is It Time to Bring Back the Boarding House?". CityLab - The Atlantic Monthly Group. Archived from the original on 2017-11-14. Retrieved 2017-11-13. Politically, it's a coalition of the greedy and the well-meaning that led to the banning of private-sector affordable housing in our cities," he says. The well-meaning folks were appalled by the living conditions of poor and working-class families. The greedy folks were appalled by the prospect of living next to them. Together, this awkward alliance helped advocate laws that established minimum living conditions not simply for safety, but also to define how much space an individual should reasonably be expected to live in.